There’s at least one thing I can agree on with the Bristol Bay lodge owners who recently published an op-ed in the Anchorage Daily News. Well, maybe two. These things are exactly correct. But from that point forward, the views and opinions of the ardent anti-mining authors don’t only diverge from mine. They diverge sharply, even radically, from the professional judgment of the independent engineers and scientists employed by the US Army Corps of Engineers as expressed in the Pebble draft EIS. The document, following a three-month public comment window that began this month, will become the final EIS for the Pebble Project next year. This is the key document upon which permitting decisions will be made. I strongly encourage anyone who cares about the natural environment, the world-class fisheries and the people of Bristol Bay to read the draft EIS at pebbleprojecteis.com, and make your voice heard in the public comment period now underway. There’s another important reason to read the Pebble draft EIS. That’s to see what the independent experts retained by the federal government (engineers, biologists, hydrologists and geochemists, among many others) have concluded about the smaller, more environmentally sensitive project proposed at Pebble. 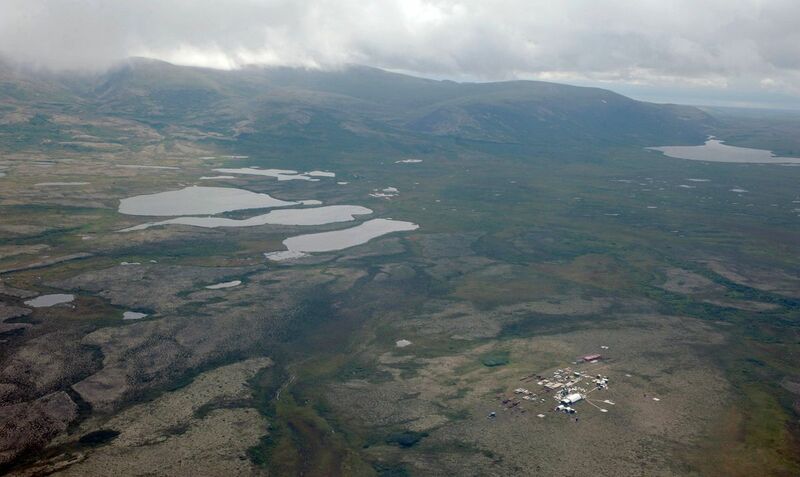 After years of alarmist rhetoric about the havoc Pebble would wreak across a region of Alaska larger than many states, the Corps of Engineers has finally delivered a rational, defensible and non-political judgment. So what does the Pebble draft EIS find? That the Pebble Mine will fully coexist with the Bristol Bay salmon fishery, without any decrease in resource abundance or harvest levels. Even in the extremely unlikely event of a catastrophic failure, no population-level effects on salmon are expected to occur. Pebble will not affect the water resources of Bristol Bay. Water quality in nearby streams will be maintained. Downstream water flows will continue to support healthy aquatic habitat. And there will be no water quality impairment post-closure. Finally, the draft EIS finds Pebble will make an important contribution to a disadvantaged region, and the state of Alaska as a whole. Benefits include not only jobs and investment, but improvements in the health and well-being of residents, more sustainable communities and important contributions to Alaska state revenue and the Permanent Fund. At 1,616 pages, the Pebble draft EIS is a comprehensive document that provides significantly greater detail on these and other subjects than I can provide here. I’d recommend all Alaskans read it for themselves (at least the 80-page executive summary). What they will find described is a safe, modern mine that will not damage the environment and fisheries of Bristol Bay, but will make a positive economic contribution to the region and the state. The lodge owners who wrote in this space recently have a different view. They claim that, because the draft EIS doesn’t uphold their opinion that Pebble will eradicate an entire fishery and every soul who relies on it, the independent scientists and engineers who wrote the document are complicit in a terrible conspiracy against Alaskans. I generally don’t complain when Pebble’s name and the reputation of our Alaska employees are dragged through the mud by people opposed to our project. I’m sorry to say that kind of mistreatment is a burden all resource developers have come to accept as part of the bargain when it comes to developing the resources that fuel Alaska’s economy and feeding global demand for commodities necessary for modern civilization, like copper. But it’s clearly not fair or justified to question the integrity of professional regulators and independent scientists simply because their objective judgments do not line up with one’s own self-interest and preconceived notions about the environmental effects of a project like Pebble. Most right-thinking people continue to have faith in the integrity and judgment of the professional regulators and civil servants who safeguard our land and waters, while providing for the responsible development of our resources. But don’t take my word for it. Daily News readers should read the Pebble draft EIS and come to their own conclusions. Ron Thiessen is President and CEO of Northern Dynasty Minerals Ltd., owner of the Pebble Limited Partnership and the Pebble Project.